As the legal marijuana business starts to professionalize, players are emerging who say they want to create multinational franchises and empires, in effect, building the Starbucks or McDonald’s of ganja. Billy Levy and his partners have other plans. Because the future of weed is brands, he said. That conviction is at the heart of Slang Worldwide, a new partnership between Green House and Organa announced exclusively to Adweek that will try to lead the U.S. market by investing in, acquiring and developing American cannabis brands. The Slang team will be scouting for popular local and regional brands, for instance, and adding them to the already existing portfolio. 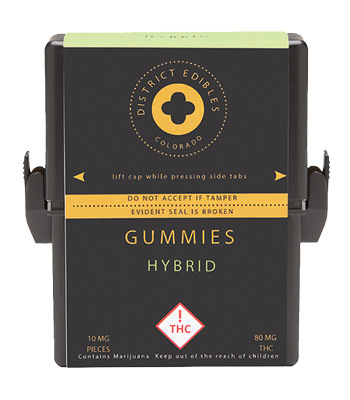 Green House and Organa own Bakked, O.penVAPE, Strain Hunters and Magic Buzz, among others, with distribution in 1,200-plus marijuana dispensaries in 11 states. In effect, the ganjapreneurs are taking a page from Constellation Brands, the third-largest beer marketer in the U.S. with more than 100 libations in its stable, including Corona and Modelo, Svedka Vodka and Robert Mondavi wine. The same way that Constellation is a “house of brands,” Slang plans to “bring together a whole host of brands that appeal to a wide variety of consumers, as we look to carve out the biggest market share,” said Chris Driessen, Organa’s president. The legal marijuana market is expected to top $10.2 billion in the U.S. in 2018, according to Euromonitor International, and industry leaders are betting on nationwide legalization in the coming years. The focus of the first wave of the so-called “green rush” in the U.S. was on cultivation and distribution, but attention is now shifting to marketing and branding. Meantime, advertising remains tricky for the nascent American category, which often relies on nontraditional and experiential tactics like live events, social media and influencer outreach to musicians, comedians and actors. Netherlands-based Green House, with more than 30 years in the business, pioneered the cannabis coffee house with multiple locations in Amsterdam. Its sister brand Strain Hunters, which has a namesake club in Spain, has succeeded in content marketing with 150 million views of its digital documentaries. Those videos follow founder Arjan “King of Cannabis” Roskam as he travels the world searching for rare and unusual strains of pot. Stoked by the launch of Slang, there will be more short films for digital and mobile and possibly a Strain Hunters series on a major streaming platform, execs said.